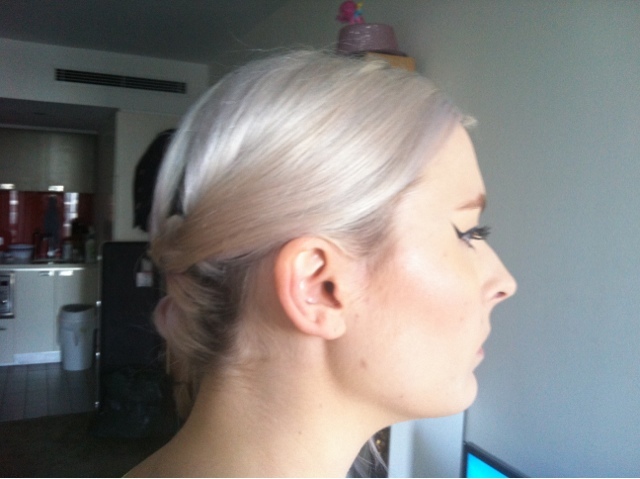 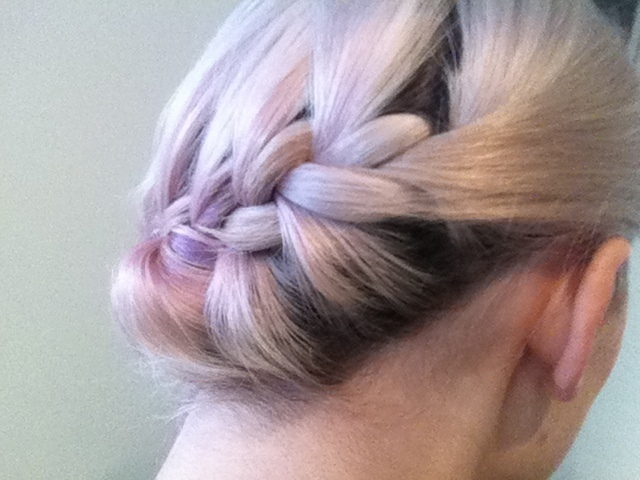 Today I felt inspired to try something unusual, asymmetrical and wacky with my hair. 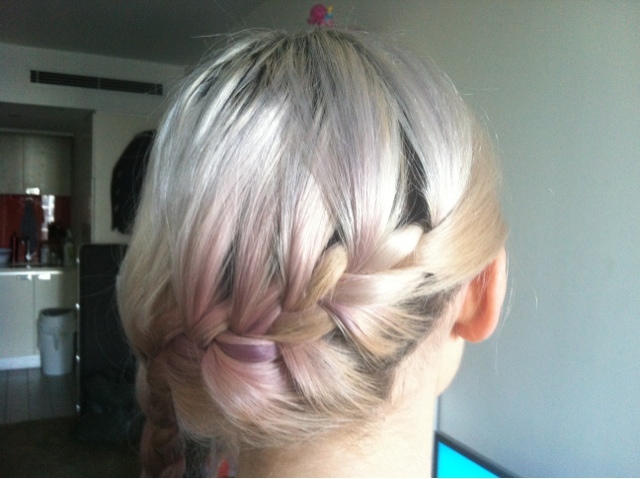 I braided it from right to left and into a plait. 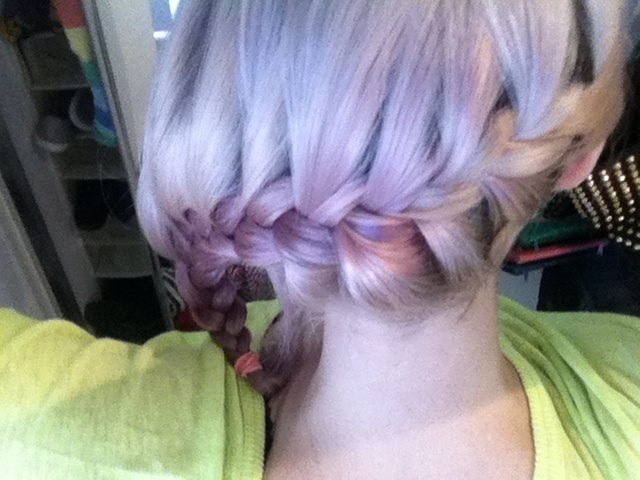 I love that the plait is the underneath pink part of my hair. 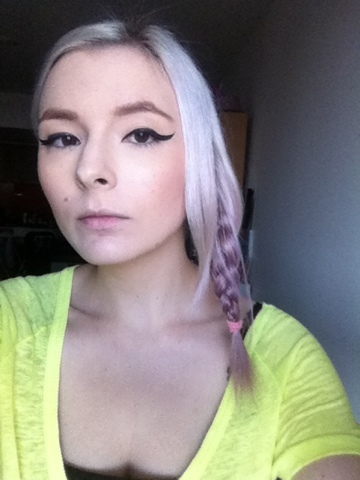 Who knows what I'll come up with next. 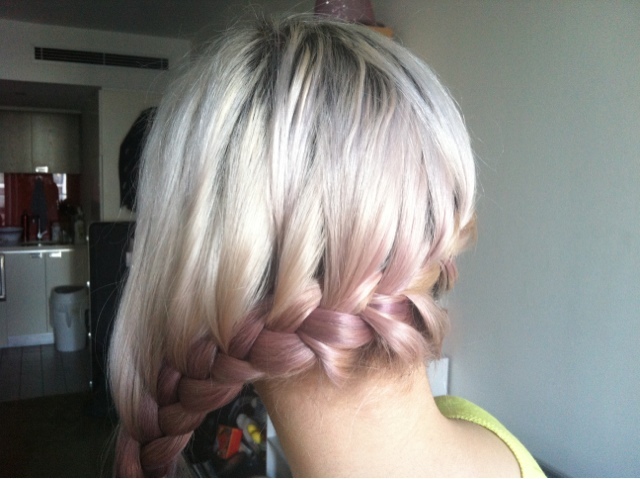 Do you have any cool braiding tutorials for me to try? 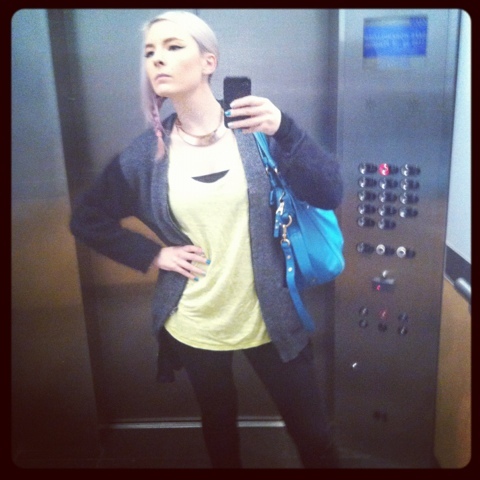 Also today I wore my new neon yellow linen tee from Witchery and black skinnies by J Brand.